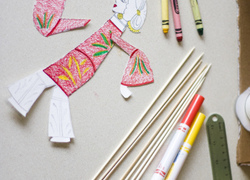 Learn about the beautiful Indian art of Madhubani painting with this fun and creative project. 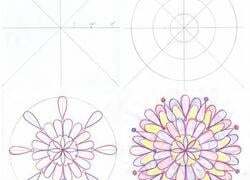 Draw your own beautiful mandala with this easy technique that ensures symmetrical results every time! 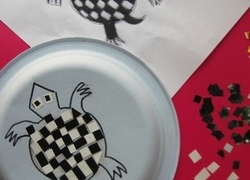 To pay tribute to the ancient Mexican art of mosaics, your child can craft a colorful mosaic using old magazines, a paper plate and lots of imagination. 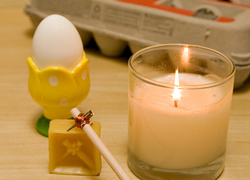 This Pysanky egg-decorating activity is perfect for young artists. 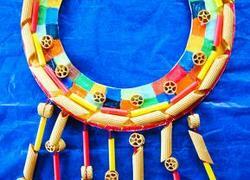 Bring a little colour and creativity to any holiday with this traditional Ukrainian craft. 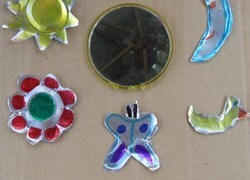 Your child can make her own Mexican tin art mirror with cardboard, a mirror, and an aluminum pan. 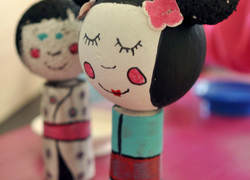 Kokeshi dolls have been around since the 17th century, and now your child can recreate a piece of Japanese history and culture right at home. 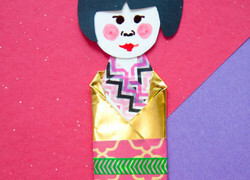 Washi Ningyo, otherwise known as Japanese paper dolls, make fantastic bookmarks! Encourage your child to read more with this delightful, origami-inspired doll. 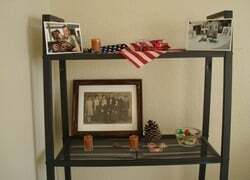 Retablos are a kind of Latin American folk art that blend personal and spiritual themes. 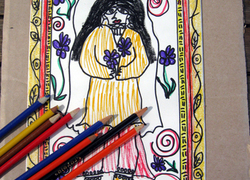 Have your child create her own version of retablo artwork. 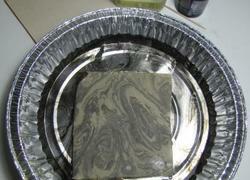 Take advantage of the fact that ink and water don't mix and introduce your kid to suminagashi, a Japanese form of art. Shadow puppets are a traditional form of folk art that originated in ancient China. 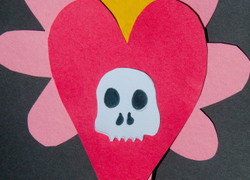 Help your child create his own puppet and put on a show!